My Favorite Thing To Do With Daddy..
Father's Day is around the corner, are you ready? I always struggle with what to give my amazing husband and father. In the end, I think they are similar to moms - they want to know that they are appreciated and loved. 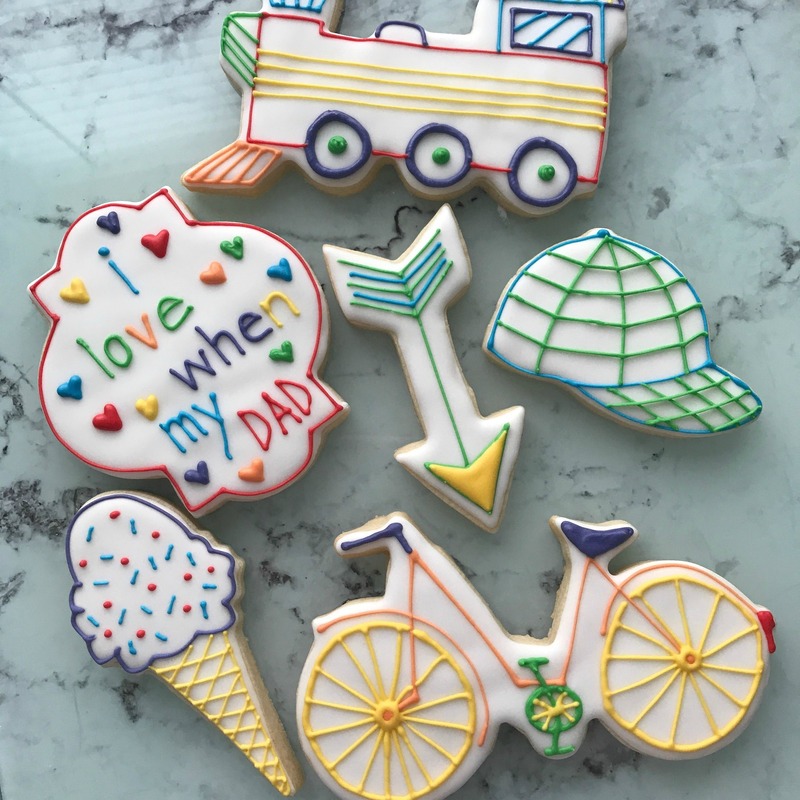 Every year I come up with a new cookie theme set for Father's Day. This year I wanted to create something really special given all the changes in our lives. I know my husband has worked incredibly hard finding a new job, moving his family and doing anything he could to keep us all happy. My children are at an age now where they can be more involved with gift buying and making. 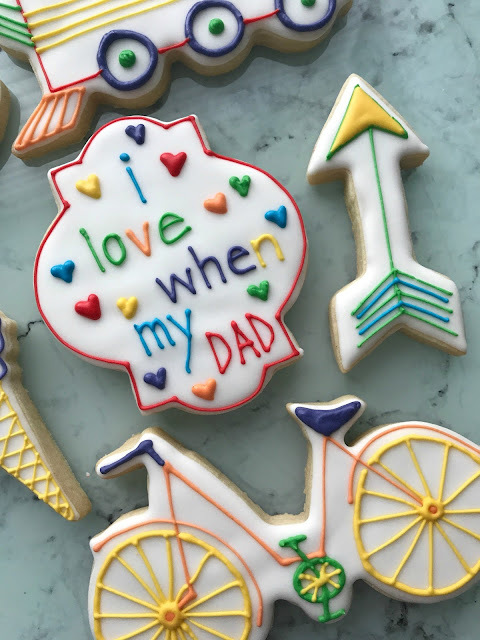 I wanted to include them in this cookie set, after all it's their sweet lives that have made him a father. I was inspired by my son's Preschool Father's Day gift. One of the questions in his card to fill out was, "What is your favorite thing to do with Daddy?" And what do my children love to do with their Daddy? They love doing archery, riding bikes, being treated to ice cream and playing with him outside. I won't soon forget their little faces as they thought about their answers. That man is so incredibly loved by his children. 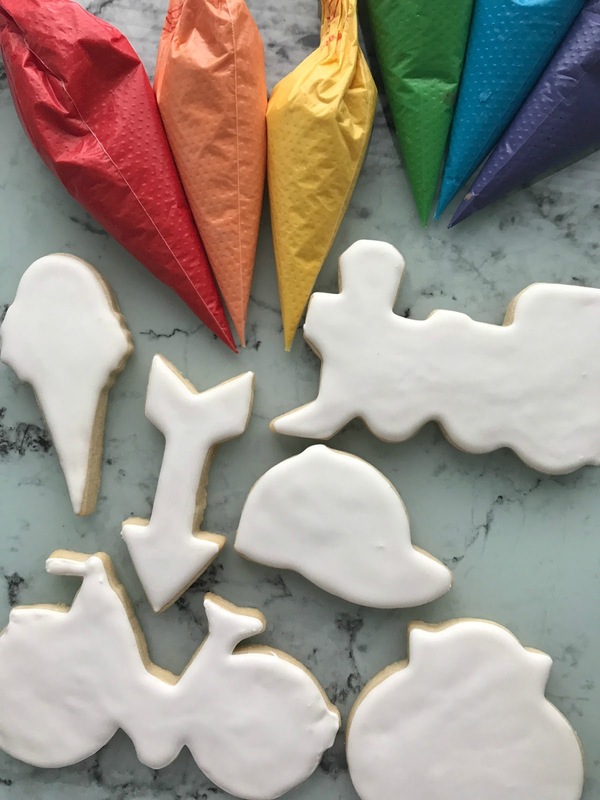 My decorated cookies are not unique in our home anymore. I know my husband would have appreciated anything I made, I really wanted something that would be more meaningful. I decided to hand the icing over this year. I baked all their sweet memories and flooded them in white. This step gave the cookies a nice even layer and blank canvas for them to work on. 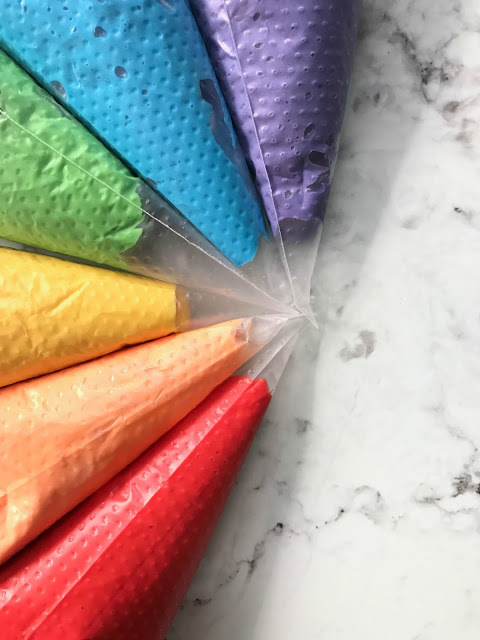 I made up an assortment of rainbow colored icings and left them alone. They could decorate in any way they wanted. My only rule? Don't squirt icing into our mouth. I know, I know - I'm the meanest mom ever! They had so much fun and they were ecstatic that I trusted them to make these special treats. This is a great activity to do with him - it's fun and you get to listen to all of their favorite memories. I know that my husband will always remember these sweet treats and how much he is loved by them. I do recommend giving the kids a small cookie before or after to enjoy. That was the only hiccup and I saw it coming. They love cookies too, lol! Maybe bake a few extra hearts for them to decorate and gobble down after their hard work. 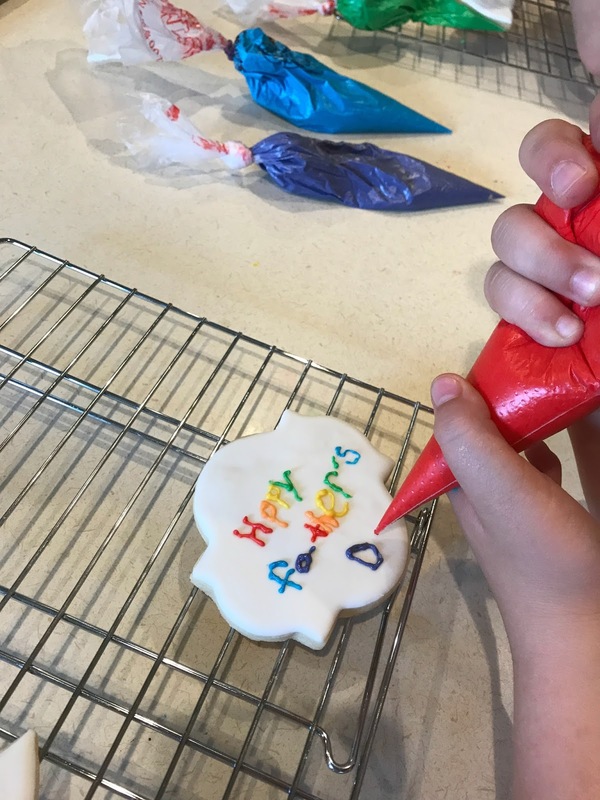 I hope you try this activity, I think it may become a new family tradition for us! Happy Father's Day to all those men out there that help raise, love and hold our children dear.